The following terms and conditions for tours apply to all tours of the tour operator, REUTHER-ENTERTAINMENTS GmbH + Co. KG, and are approved by the "Tour Participant" upon booking. Tour operator: REUTHER-ENTERTAINMENTS GmbH + Co. KG, Buchenweg 13, 96450 Coburg, Germany, hereinafter referred to as "Reuthers". Upon receipt of the registration confirmation by the tour participant, a binding offer to conclude a tour contract will be made. The tour contract will come to be upon receipt of the acceptance from Reuthers. This does not require any particular form. Upon receipt of the acceptance from Reuthers and the payment information, a deposit amounting to 20% of the tour price is due for payment. Upon receipt of the deposit, the tour participant will receive a detailed tour confirmation. The payment of the remaining balance of the tour price is to be received by Reuthers without further request at latest 90 days before the tour begins. If payments due are not made or not made in full, and a payment by the tour participant is also not made after a reminder is given with a deadline, Reuthers may rescind the respective tour contract and demand rescission fees as compensation in accordance with No. 7. The services vary and are specified in the respective tour description. Reuthers reserves the right to change the program and the accommodations as necessary. In doing so, Reuthers attempt to maintain the character of the tour and to render similar services. In the event of increases in prices and/or exchange rates for third party services, Reuthers must reserve the right to increase the tour price to the extent that the increase per person affects the tour price. In this case, Reuthers is to inform the tour participants thereof without delay, at latest however 20 days before the tour commences. In the event of price increases by more than 8%, the tour participant is entitled to rescind the tour contract free of charge. Reuthers will refund the previously paid tour price without delay. 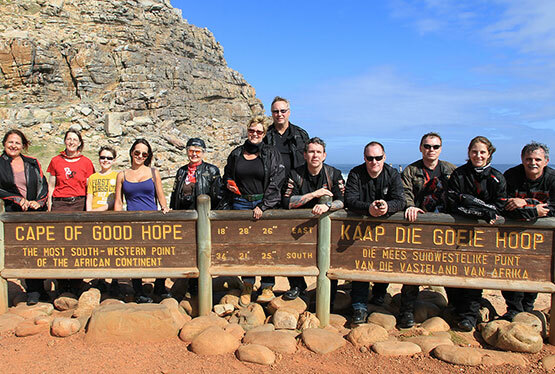 Group tours by motorcycle require more cooperation on the part of the tour participants that a conventional package holiday. There may be unforeseen and unplanned events that contribute to the unique character of such a tour. The tour participants must be considerate to each other, fit into the group, and follow the instructions of the tour guide. 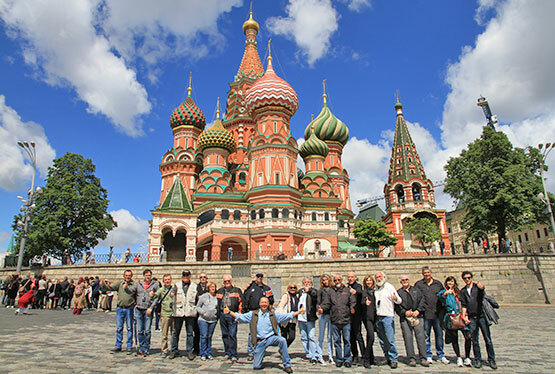 In the interest of a smooth group tour, we reserve the right in the event of non-compliance with the instructions of the tour guide or even danger to the other tour participants to exclude individual incorrigible tour participants and, if necessary, to secure the rental motorcycle. 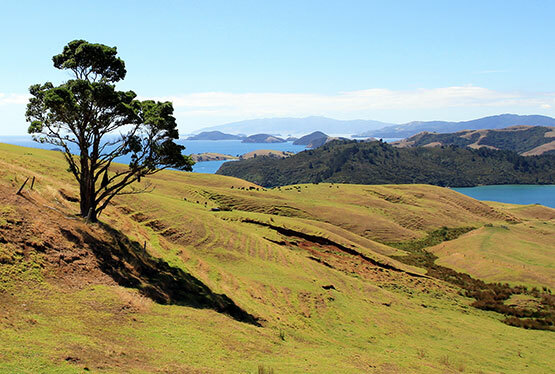 Such tour participants are in no case entitled to a refund of the tour price, and all costs incurred in this connection are to be borne by the incorrigible tour participant. When picking up the rental motorcycle, a safety deposit is payable at the rental station and a rental contract will be concluded. The amount of the deposit varies depending on the rental station and will be communicated to the tour participant in the tour book or upon request. This deposit will be refunded when the undamaged motorcycle is returned. The rental period is not interrupted if the vehicle cannot be used, regardless of whose fault or the reason, or by the inability of the renter/participant to drive. 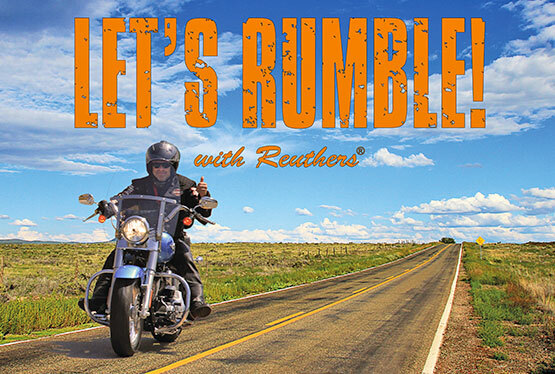 In the event that the type of motorcycle booked is not available at pickup, Reuthers reserves the right to provide a motorcycle of equal quality. 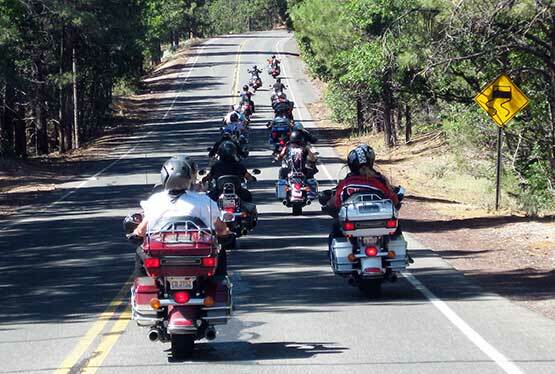 For guided tours, the rental motorcycle is intended exclusively for the planned tour with the tour guide. Any other independent tour or use is expressly prohibited. In case of violation by the tour participant or in the event of a re-booking (which is possible and subject to a charge) during a tour to a self-drive tour, Reuthers is not responsible for trips carried out independently. 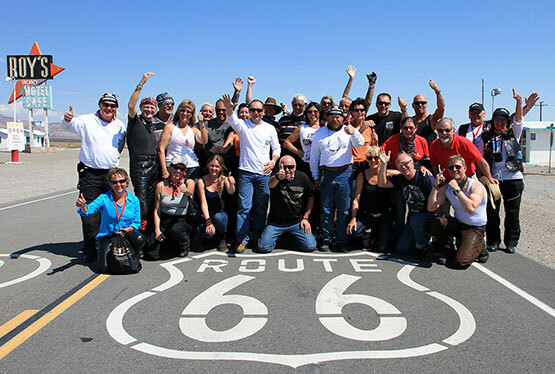 The tour participant has the opportunity to participate in the tours with his/her own motorcycle and is responsible his-/herself for the technical soundness the motorcycle. The vehicle is to be serviced by an authorized repair shop, and the corresponding proof thereof is to be submitted before the tour begins. The vehicle is to be fully refueled at the participant's own expense before the first day's stage and after any additional trips made independently during the tour. In case of non-compliance and any resulting unplanned stops, the tour participant is liable to Reuthers for compensation of the damages caused by the stop. Additional costs incurred, such as vehicle recovery, a safe shelter for the vehicle, repairs of technical defects of the vehicle, or similar, are to be borne by the tour participant his-/herself. In the event that the tour must be aborted due to a defect of one's own vehicle, the tour participant is obligated to pay the stipulated tour price. The tour will be continued in such a case. The tour participant his-/herself is responsible for the suitability of his/her vehicle. There is no claim to replacement transport by Reuthers. The planned accommodations are typical for the area and of a good standard. A double room (couples only) and two-bed room occupancy is only possible in the case of mutual registrations. The tour participants must comply with the information provided by Reuthers and the special individually relevant country regulations, and is to take care of any documents that may be necessary for the tour from the competent embassies / consulates / driver's license authorities / governmental authorities. Reuthers is not liable for the timely issue and receipt of necessary documents or visas. The tour participant his-/herself is responsible for the compliance with all regulations important for carrying out the tour and all disadvantages that arise from the non-compliance with such regulations. within 30 days: 100% of the tour price. All tour cancellations must be in writing. If possible, Reuthers agrees to let a tour participant be replaced by a substitute person and charges an additional processing fee of EUR 250 per person. Reuthers may terminate the tour contract without notice, if the performance of the tour is significantly impaired by the tour participant despite a corresponding warning by Reuthers. The same applies if a tour participant behaves in breach of the contract to such an extent that immediate termination of the contract is justified. However, Reuthers retains the claim to the tour price. Such tour participants may in no case claim a refund of the tour price, and the incorrigible tour participant is to bear all costs incurred in this connection his-/herself. Reuthers may, if the minimum number of participants - eight tour participants - is not achieved, cancel the tour up to 20 days before the tour begins. In this case, the tour participants will be informed without delay and a mutual solution will be sought and/or the previously paid tour price will be refunded without delay. Reuthers may terminate the tour contract due to force majeure at any time, the cause of which lies outside of Reuthers' influence (force majeure, strikes, disasters, wars, etc.). In such a case, the tour price paid or an amount saved before the end of a tour will be refunded to the tour participant without delay. The tour participant has no further claims against Reuthers its agents or service providers. Reuthers is not liable, especially in the case of traffic accidents. Each tour participant is responsible and liable for his/her driving style and choice of route, even if the tour participant is following the tour guide. Each tour participant declares his/her consent that the owners, organizers, and representatives of Reuthers are not responsible for the personal safety of the tour participant and are not liable individually or mutually for incidents in connection with the performance of or participation in the tour that lead to injury, death, or damage to the property of the tour participant, his/her family, heirs, or legal successors. Reuthers and/or its local partners are not liable and do not assume any additional costs incurred by political instability, acts of God, and/or natural disasters. Reuthers assumes no liability for the transport of luggage during the tour. The tour participant may store a piece of luggage / suitcase in the support vehicle. The ability to take along additional pieces of luggage is at the discretion of Reuthers and must be confirmed in writing before the tour. Reuthers is not liable for service disruptions, personal injury, and damage to property in connection with performances that are merely arranged as third-party services. The tour participant him-/herself is responsible for the observance of the respective road traffic regulations. Each tour participant drives at his/her own risk and is liable for damages caused to fellow participants or other road users. This also applies if the tour participant is following the tour guide. Each tour participant is to adjust his/her driving style for his/her own safety. If, despite all precautions that Reuthers take for the planning and execution of each individual tour, a tour participant has a reason for complaint, Reuthers is to be informed without delay. Each complaint and claim must be received in writing by Reuthers within two years after the end of the tour. The photographs, slides, and videos made by Reuthers or its representatives during the tours serve, inter alia, the purpose to provide the tour participants with memorabilia and are the intellectual property of Reuthers that may only be used by the tour participants for private purposes. The tour participant declare his/her consent to the use of such material, and Reuthers is entitled to use such material for promotional purposes (print, websites, social media), even if the tour participant is recognizable thereon and without Reuthers incurring costs vis-á-vis the tour participants for doing so. The photographs, slides, and videos made by the tour participant during the tours are for private use of the tour participant only - commercial use is prohibited. The recording of guided tours by means of a navigation device or similar suitable recording equipment by the tour participant is prohibited - this also applies to the mere use of such a device. Reuthers recommends taking out insurance for trip cancellation, baggage, accidents, health, and liability. We are happy to assist you in this regard. The invalidity of individual provisions of these terms and conditions for tours does not lead to the invalidity of the remaining provisions. Tour guides are not authorized to give assurances, especially if they differ from the terms and conditions for tours. Verbal agreements are must be in writing and confirmed by Reuthers. German law is stipulated to apply exclusively. The place of jurisdiction is Coburg, Germany.